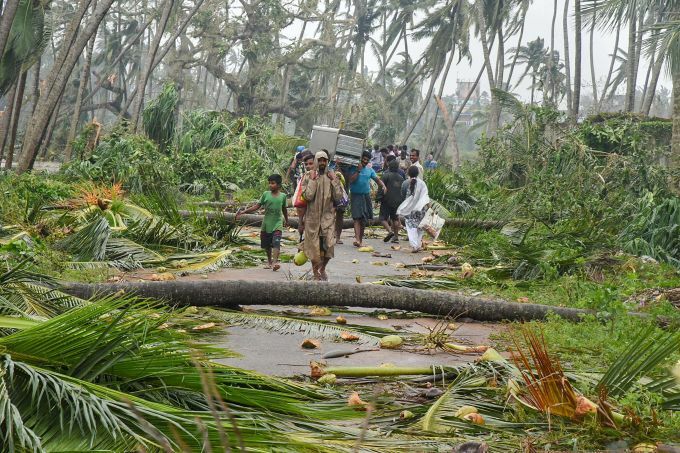 Srikakulam: A group of people relocate to safer places as Cyclone Titli hits Barua village, in Srikakulam, Thursday, Oct 11, 2018. 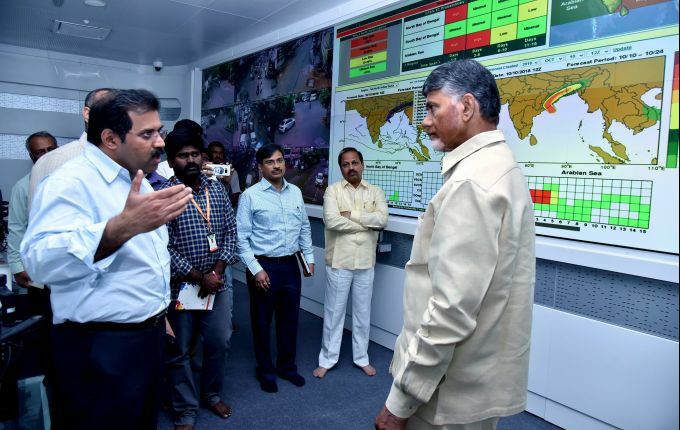 The 'very severe' cyclonic storm 'Titli' left two persons dead besides causing widespread damage in Srikakulam. 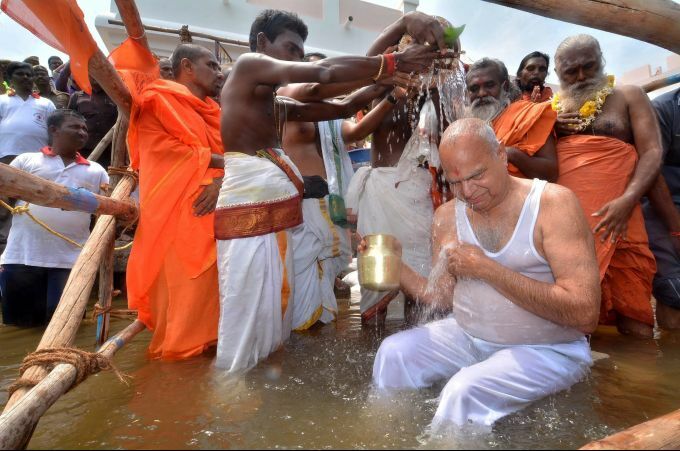 Madurai: Tamilnadu Governor Banwarilal Purohit takes a holy dip in Maha Pushkaram at Thamirabarani in Papanasam, on Thursday, Oct. 11, 2018. 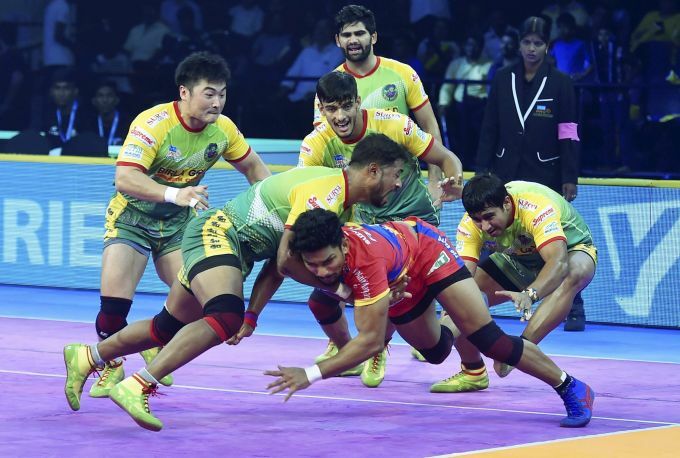 Chennai: Patna Pirates (Green Yellow) players in action against UP Yoddha during their Pro Kabaddi league season 6 match, at Jawaharlal Nehru Indoor Stadium, in Chennai, on Thursday, Oct. 11, 2018. Paris: FILE - In this June 19, 2015 file photo, French Capt. 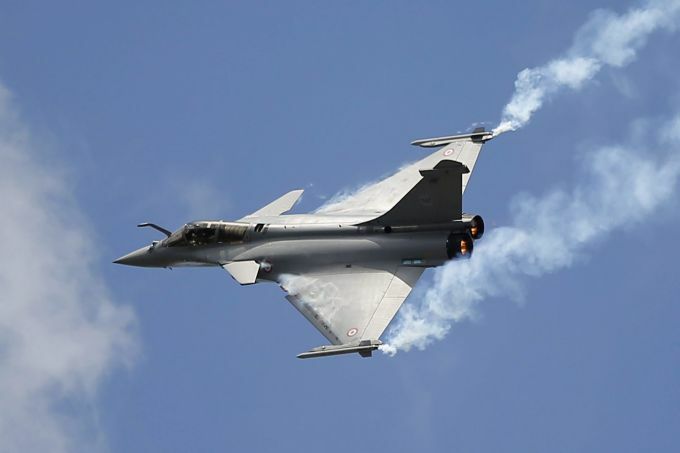 Benoit Planche performs with a Rafale single seat jet aircraft during its demonstration flight at the Paris Air Show, in Le Bourget airport, north of Paris. 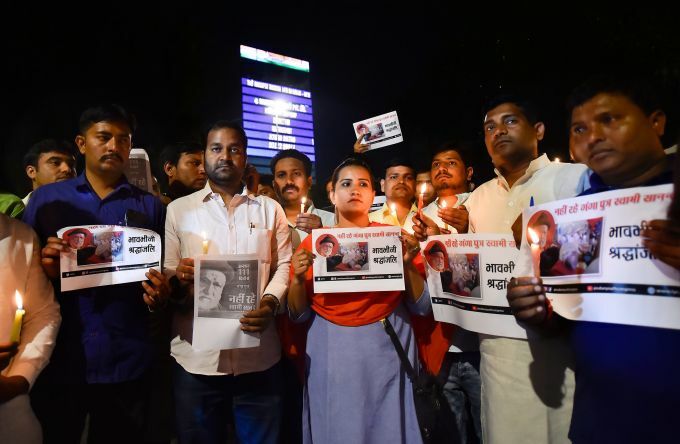 India's defense minister is travelling Thursday Oct. 11, 2018 to Paris amid controversy over a multi-billion dollar deal in which France will sell 36 fighter jets to India.